Jeff, Brian, Mara, and Kelly are self-proclaimed goofballs. Since first grade these friends have been solving mystery among their schoolmates etc and now their reputation is expanding. 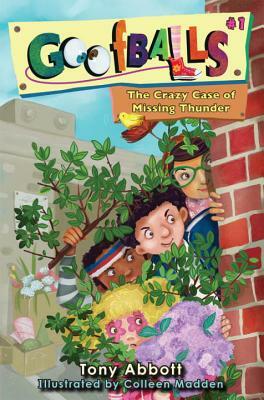 Rich kid Randall Crandall's horse, Thunder, goes missing and he calls upon the Goofballs to find him. Deciphering the clues that range from a flower delivery truck, a thunderstorm and a horse who's afraid of thunder, leads the Goofballs to recover missing Thunder, the flower-loving horse. In the meantime, they follow a trail of chomped-up flowers, disguise themselves as bushes in a florist shop and spend some time in a house that's bigger than the White House.